Hello all! I hope you had a great holiday season. I sure did. Spending time with family and taking sometime to relax. I received many wonderful gifts including two looms. 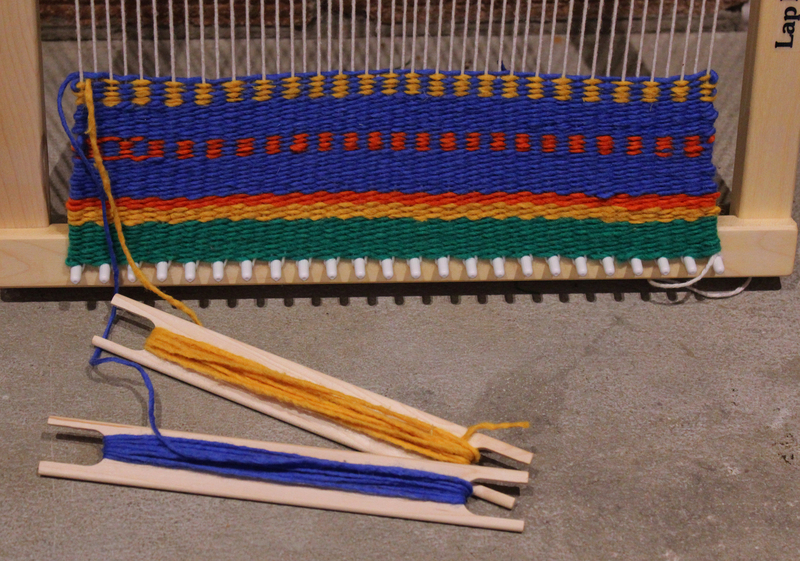 One is an inkle loom and the other is a lap or tapestry loom. I have to learn how to use the inkle loom as well as figure out card weaving as I got a stack of cards as well. 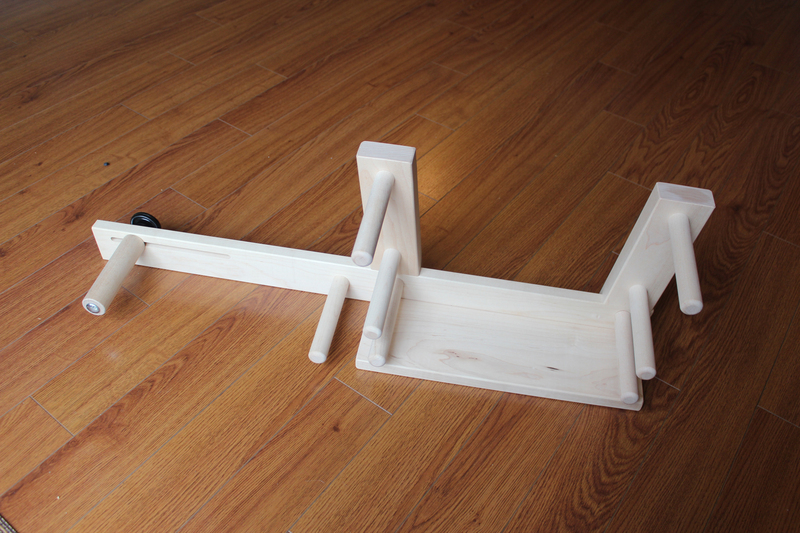 Here are a couple of photos of the looms. 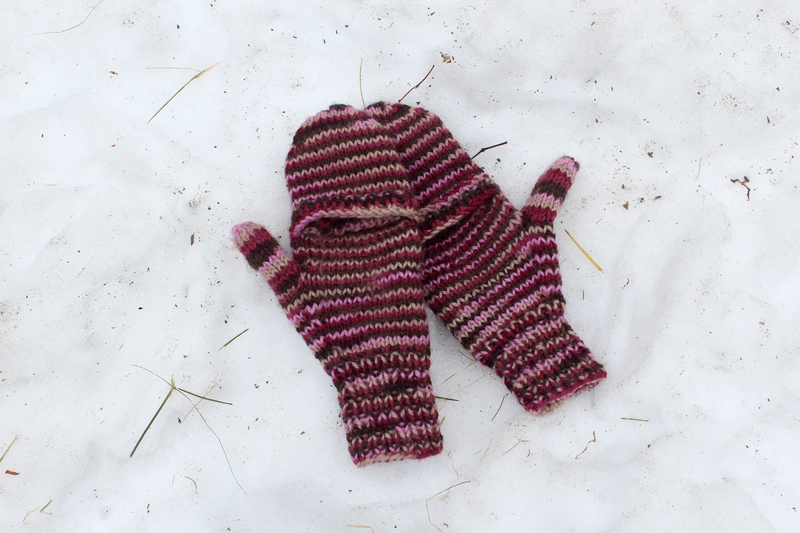 And here’s a few images of the finish pair of mittens I was working on during Christmas. 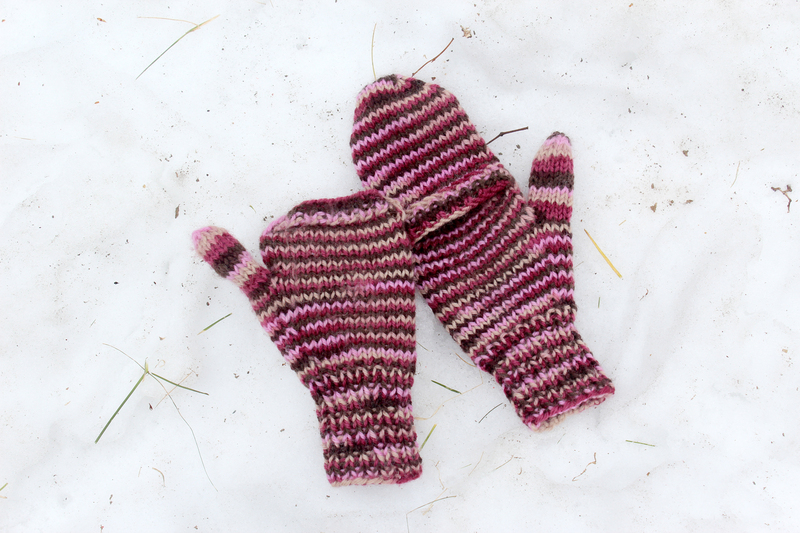 The snow here has all but melted since we had some unseasonally warm weather so I apologize for the rather dirty snow background. Previous: Happy Holidays and Happy New Year!